This work by hoamon is licensed under a Creative Commons Attribution-ShareAlike 2.5 Taiwan License. 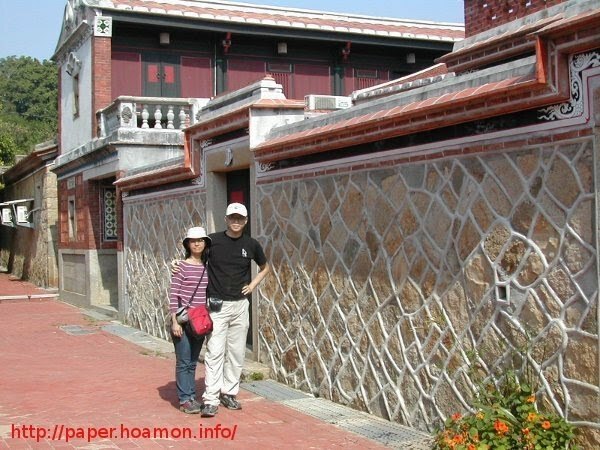 This work by hoamon is licensed under a Creative Commons Attribution-ShareAlike 3.0 Taiwan License. I have a lot thoughts to say! My blog should be a good place to use, but the primary goal of blog system is publishing quickly and short, although it is more longer than g+, twitter or plurk. I will collect my old blog articles to be archived and decorated and export papers of reasonable continuity. My wide interests that include finance, management, politics, mathematics, computer, science and history are driving me to research what we can do is good for truth. "Good for truth" is the purpose of building this site. "Good for truth" is not only realizing the realities but also applying to human behavior rightly. Because we can not own one silver bullet to solve all problem. That is why i read from so many different sources. The value of diversity is worth us pay more attention, if people thirst for the sustainable development. So do i. I understand this rule on the applying processing of genetic algorithm. There are must enough classes of chromosome to find the best fitness, but if we change the fitness function, the original best fitness maybe eliminated by new environment. So when we only pick up a few classes of chromosome will not be a survival at the rapidly changing Earth. The language using in papers depends on audience. I use Traditional Chinese to explain problem of Taiwan and seek a resolving method, and i use English to talk about the problem that Taiwanese don't want to know. Beside the content of papers, this site's major language is English. E-Papers - any papers only in the electronic type. Author's detail - list my information, it is also my personal website. Ask Hoamon - if you have any questions, welcome to post it in my "ask hoamon" group. News(Atom) - when i finish a paper, i will announce it in this section. you can subscribe the atom link to follow. Working papers - i will list all processing papers before finishing to let you know, if you prefer some one, please notice me first with "ask hoamon". Sitemap - all pages in this site show in a hierarchy structure. Recent site activity - list all changes of this site and sort the list by time in descendant. you can subscribe the atom link to follow. Feel Pride Our paper "Modeling asphalt pavement overlay transverse cracks using the genetic operation tree and Levenberg-Marquardt Method" was collected in Advance in Engineering. Bravo! Happy birthday! This site was born on Sun, 26 Feb 2012 20:58:00 +0800.Bravo!